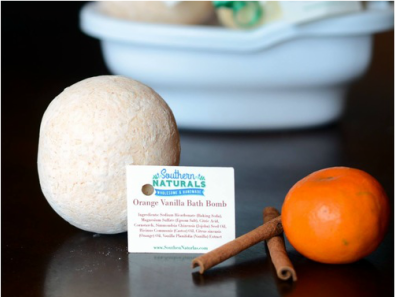 Sink into that warm water with our Southern Naturals Bath Bombs and let the aromatherapy whisk you into relaxation while the extracts and oils show your skin some love. Our bath bombs use the highest quality ingredients and therapeutic grade essential oils and they are all handcrafted one at a time. It’s aromatherapy; it’s moisture; it’s decadence. Simply fill the tub and add one bath bomb to have a ball and indulge yourself in a tonic of happiness.